0.50-carat diamond shown with Modified6-Prong Solitaire Engagement Ring. Interact with the engagement ring below. The Modified 6-Prong Solitaire Engagement Ring has always been the quintessential engagement ring. While the trends for other engagement ring settings rise and fall, the solitaire setting has never gone out of fashion. This timeless engagement ring brings all attention to the brilliance of one single diamond. 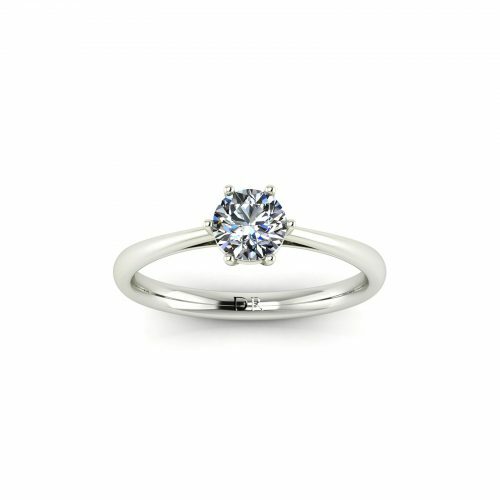 With the diamond set on just six prongs, it allows great exposure to light. This results in having greater brilliance and fire, reflected out through the unhindered parts of the diamond. 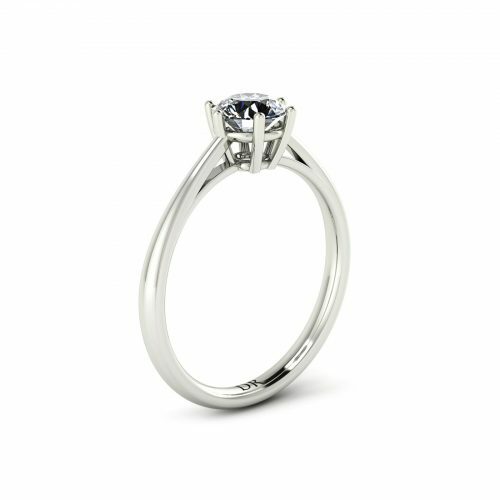 The modified 6-prong solitaire engagement ring is suitable for feature diamond of 0.30-carat and above. In addition, this setting is suitable with many diamond shapes. The ring is available in both 18K gold and platinum. As every diamond is unique, price varies with other gemological characteristics beyond the 4Cs. Only a fraction of diamonds ever meet Draco’ strict quality requirements. Get in touch with us for a broader selection of carat weights and customization. 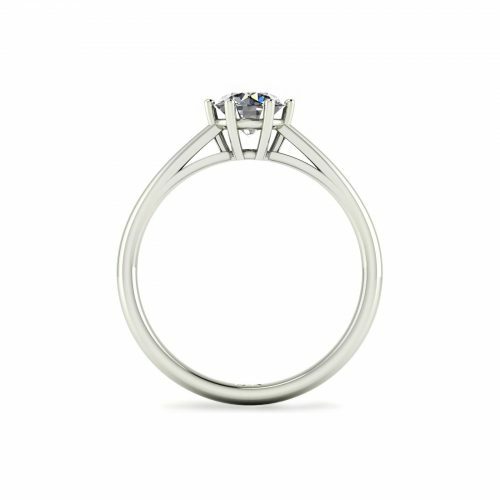 The prongs were designed to extend from the top of the ring to secure the diamond at its girdle. It anchors the feature diamond while creating an elevated profile. This allows the engagement ring to display the diamond prominently. Within the prong setting solitaire engagement rings base design, there are a plethora of styles to choose and customize from. In a survey by The Knot, 21% of the respondents favor solitaire engagement ring.